Welcome to RWA/NYC’s Heroine Blog Tour. This week, we are interviewing Heroines from New York’s Leading Romance Authors. Some are candid, some are funny, all are wonderful. We know you’ll fall in love with each and every one of them. Q: First impressions count so what are you wearing? What do you look like? A one-shoulder sheath in baby pink French chiffon lined with copper-toned silk (one of the Warrior Princess pieces from Scheherazade’s Fall collection) paired with rose pink, patent leather Lady Gaga heels. I look ready for a Vogue spread, darlings. I always do. Q: Are you a girly girl or a tomboy? Q: What do you do for a living? Do you like it? I am one of India’s most notorious…err…successful supermodels. I am the face of Scheherazade. OMJeez! I LOVE my job. Fashion is my passion. Beauty is so my thing, darlings. Long story short, darlings, I’m in love with a man who doesn’t love me. And I have just realized that if I want my sad little un-fairytale to spin on its heels and ramp-walk down a different path, I’m going to have to stop being a tall, thin coward and seduce the Beast. Q: Describe your Hero. Is he a Darcy or a Christian Grey? (Giggling like a lunatic!) Krish is almost always deliciously beastly, but he can also be sweet. He’s strict but gallant. He’s so incredibly clever (it makes me shiver) and at the same time so unsure of himself that it melts my heart. Is he a Darcy or a Grey? Neither, darlings, he’s better. He’s my Beast Charming. Q: Just between us, what do you like best about your Hero? His ability to make my soul shiver with just a look. Q: Do you prefer the bedroom door open or closed? Open, closed, I really don’t care. I’m a model, what do you expect? But the Beast is conservative, darlings. Not to mention, a big fuddy-duddy about privacy and what not. How about we try it with the door closed first and take it from there? Q: What TV shows best describe your relationship with the hero—Scandal or Game of Thrones? Both. My life is infinitely more scandalous than Scandal, while Krish has protected his “core iron throne” for so long he’s forgotten it exists. It is time to lay siege and annihilate his determination to be gallant. Everything is fair in love and war, right? Q: If your story is made into a movie, what actress do you want to play you? Deepika Padukone. I’ve been told I look like her. And she’s pretty, has an amazing body, so she’ll do. Q: Tell us about your author. OMJeez! Miz. 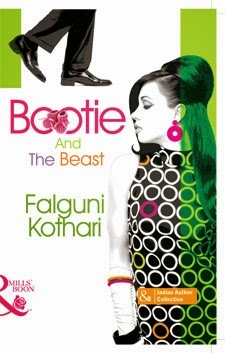 Falguni Kothari, my esteemed Creator, in some ways is just like me. She happily flitted between her Domestic Goddess, Soccer Mom and Canine Companion avatars until she stumbled onto her raison d'être—her writing career. (Good thing too or I wouldn’t exist. Eek!) 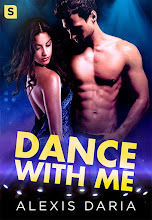 She has also penned my BFF, Lee-sha, and her hunky husband Aryan’s story in IT’S YOUR MOVE, WORDFREAK! She sounds fabulous! Can't wait to meet her!